When you enter this home you are captivated by the beautiful hardwood floors, newly painted walls and wood work that it almost feels like new construction. This house is move in ready. The newly remodeled kitchen with granite countertops and subway tile backsplash is the perfect place to cook for your family or entertain. All stainless steel new appliances including a refrigerator, gas stove, microwave, dishwasher and wine refrigerator. Plenty of storage and a pantry with pull out draws. The sunken den has recessed lighting, a ceiling fan and gas fireplace. The Kitchen and Den overlook a picturesque back yard, pool and newly painted deck. The yard provides a private oasis in a park like setting. 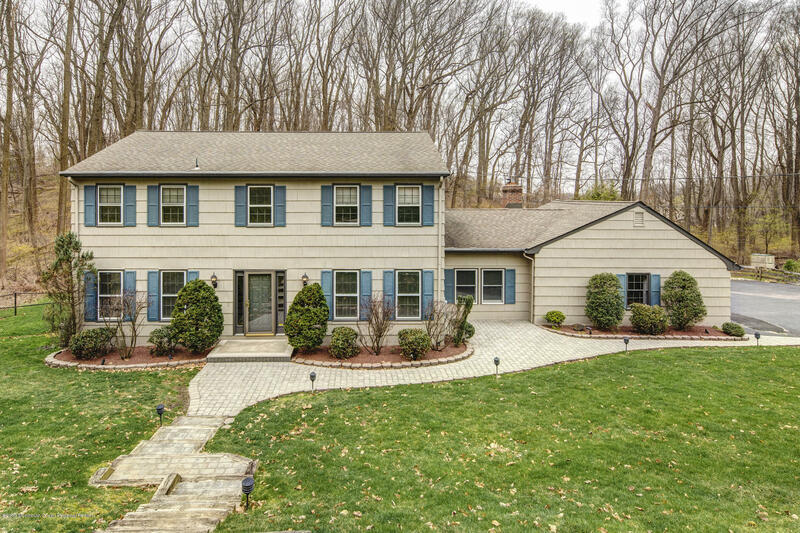 This center hall colonial does not disappoint.